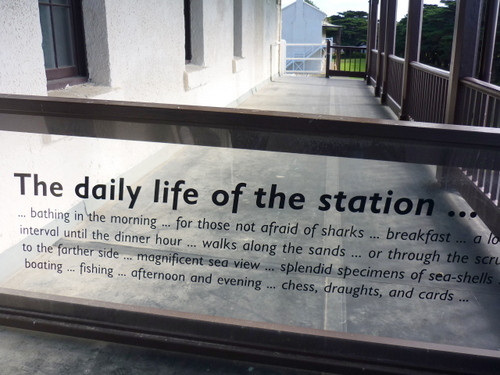 Have you ever been to the Quarantine Station at Point Nepean National Park, in Melbourne, Victoria ? I have heard of it and finally made it to this lovely spot. As you drive along the coastal road, you will be rewarded with lovely seaside views. You need a car to get to this lovely part of Melbourne, Victoria, Australia. However you can also take a train from Melbourne to Frankston and then catch a bus to Portsea. The bus stops at the park entrance gate. Another way is from Queenscliff. 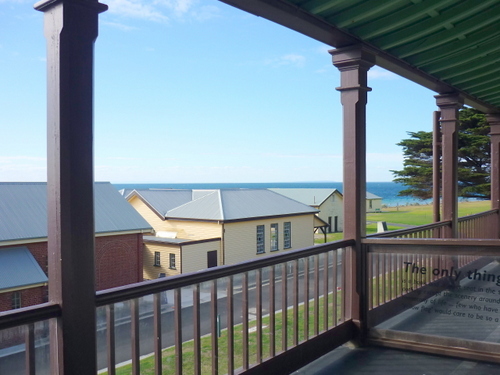 A ferry runs from Queenscliff to Sorrento every hour from 7am – 6pm. 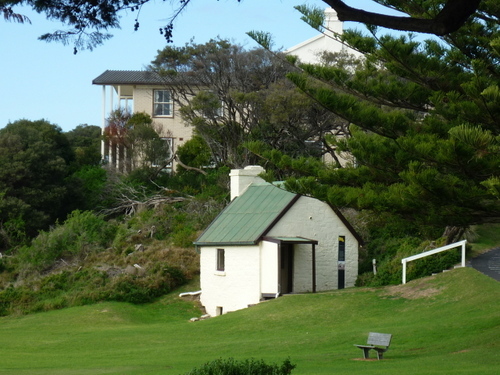 The Quarantine Station is off the Point Nepean National Park in the suburb of Portsea. Point Nepean is at the end of Point Nepean Road approx 90km from Melbourne. It takes about 1 half hour- 2 hours from Melbourne City to Portsea. 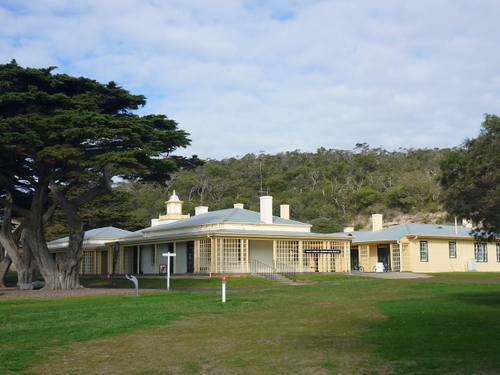 However the famous Quarantine Station at Point Nepean is near the entrance of the National Park on Ochiltree Road. 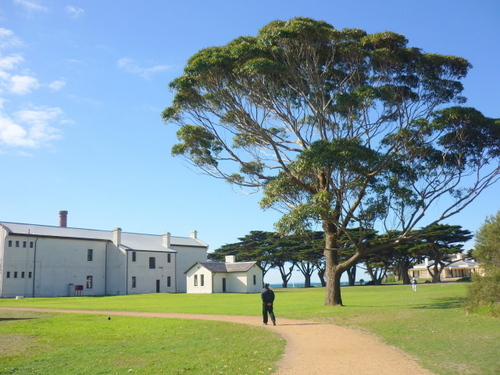 The Australian government established this quarantine station at Point Nepean in the early 1852. 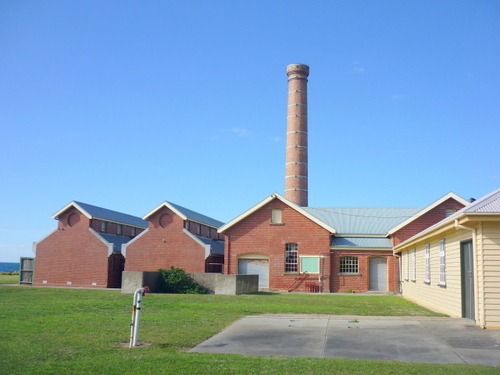 This is the 2nd oldest permanent quarantine station in Victoria, Australia (1952 – 1980). 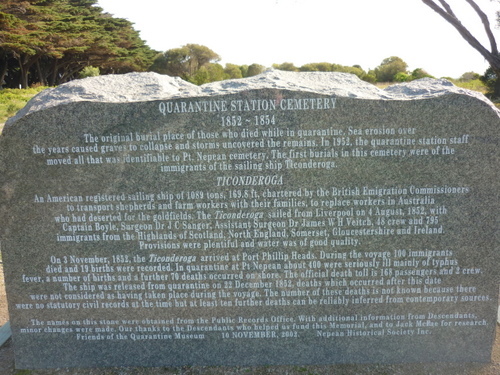 Apparently many emigrant ships arrived with many passengers affected by disease such as yellow fever. Both crew and passengers had a really bad journey to Australia. 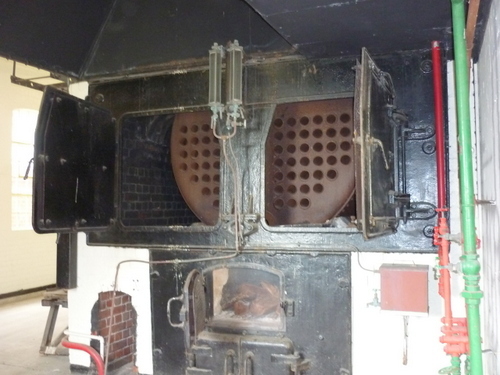 One such ship was the 'Ticonderga'. 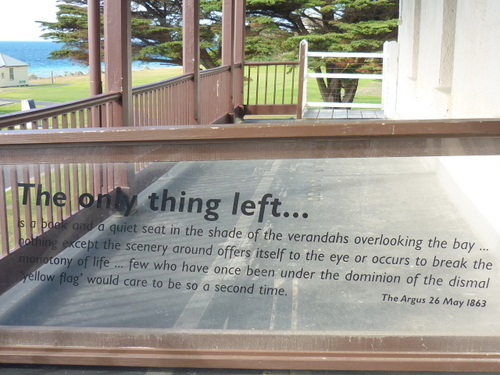 She left Birkenhead England eighty days before arriving at Point Nepean. There were eight hundred and eleven people on board when the ship set sailed. 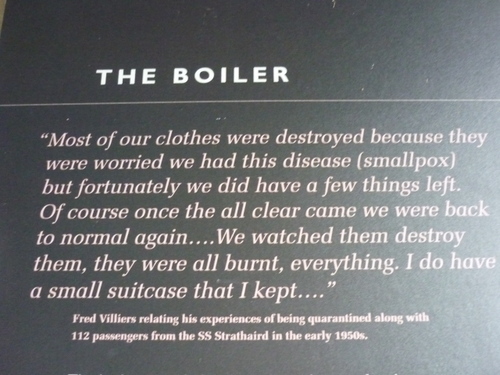 Most of the necessary amenities were not available on board as with most migrant ships (even these days) and with overcrowding, fever developed amongst the passengers. The records show that there were 96 deaths during the voyage. 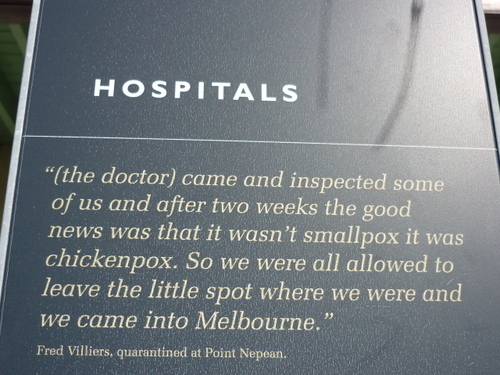 On her arrival at Portsea on November 6th 1852, the survivors were quarantined here ate Point Nepean. There were not enough rooms/houses to accommodate these people and tents had to be erected to accommodate the overflow from the existing buildings. 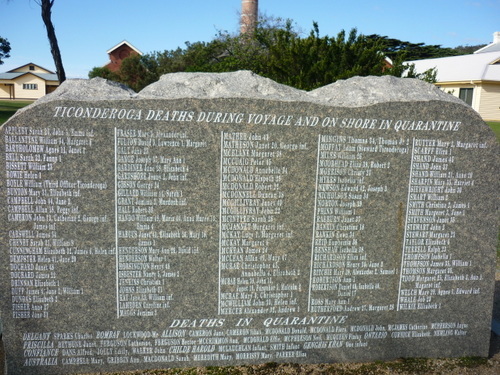 Upon arrival on land, 82 of the ships passengers died. 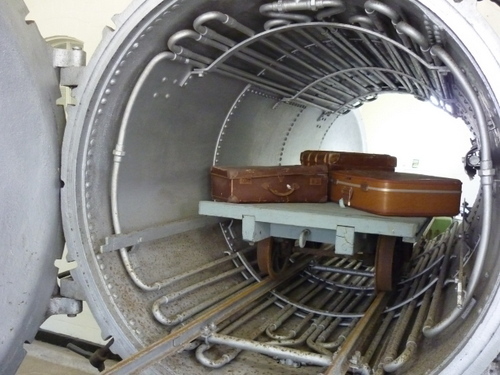 Deaths were so sudden and with too many deaths, coffins were scares, thus burials had to take place without them. How do they burry the death when there were not enough people well enough to dig proper graves? Records show that the bodies were placed vertical in recesses in the cliff face and the overhanging bank was then broken away, resulting in a landslide, thus burying them this way. 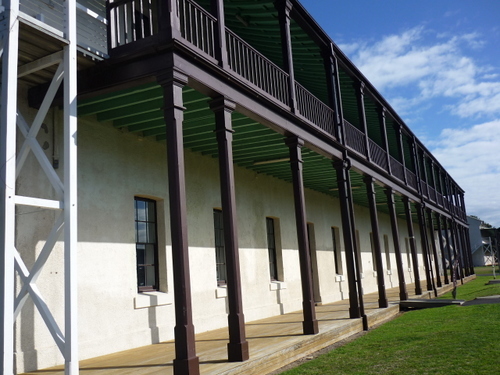 Many of the present building of the Point Nepean Quarantine Station were begun in 1856. 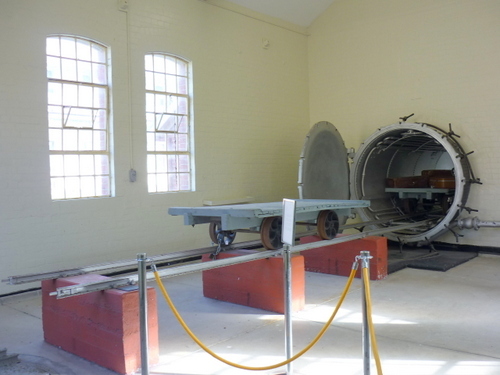 Today, this area is a national park where visitors can visit the Point Nepean Fort and the Quarantine Station Museum. You can read all about the later migrants who used to live there such refugees from Kosovo and read about and see how they feel living in such an idyllic/paradise location and yet feeling miserable. I am glad I went for a visit.